Complex ventral hernia includes large recurrent or multi-recurrent abdominal wall incisional hernia, which might be associated with long standing protrusion of abdominal contents and shrinkage of the abdominal cavity (loss of domain). 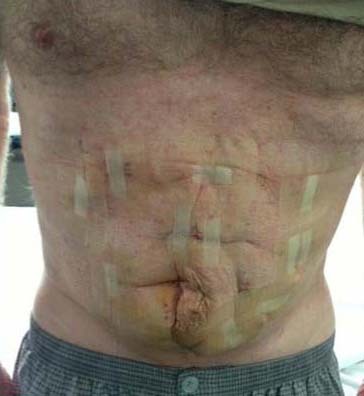 This type of hernia is highly challenging and traditional surgical repair is often associated with poor outcome. Several surgical manoeuvres have been in place for many years to address and compensate for the loss of domain, however it involves carrying out invasive secondary procedures which impacts on trunk and abdominal wall function over the long term. Complex ventral hernia surgery and research at The Australian Hernia Centre / Hernia Institute Australia / Macquarie University Hospital developed a technique to address the challenging issues in complex ventral hernia surgery converting many difficult and inoperable cases to operable with excellent outcome. This project is currently an Australian and global leader in this field.